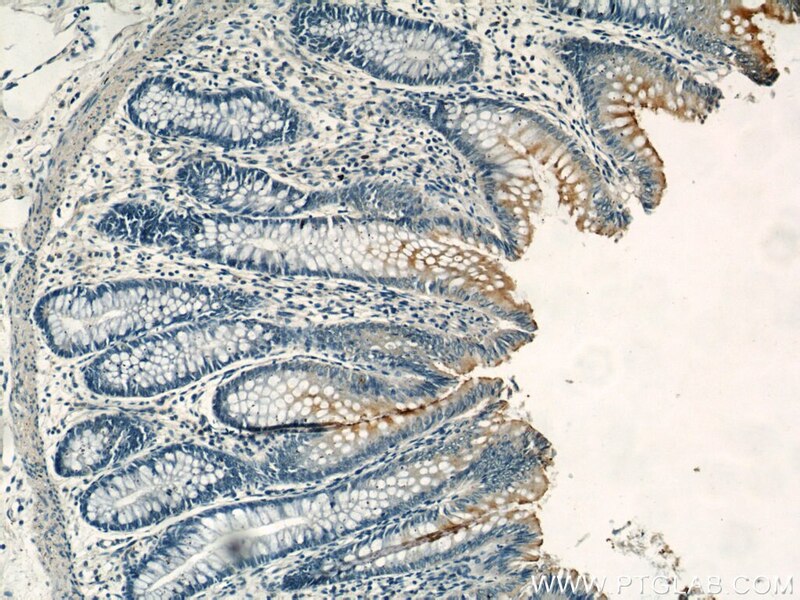 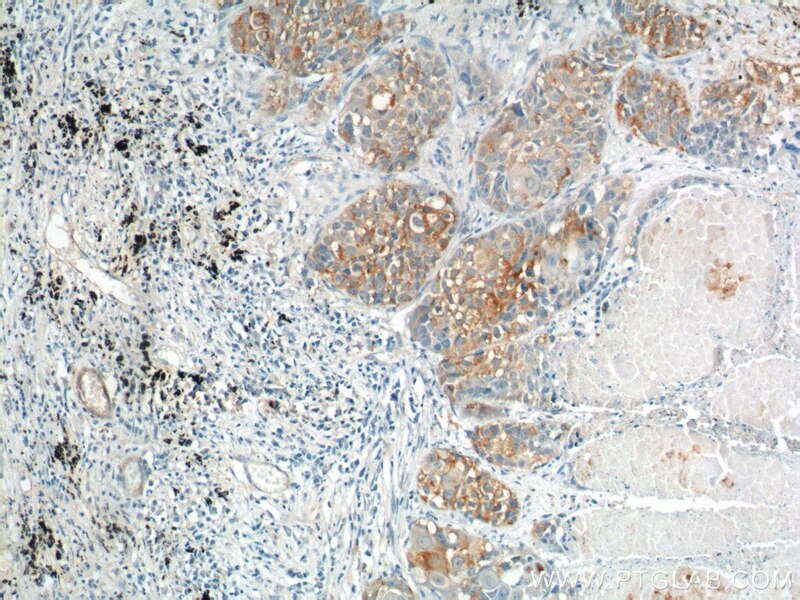 FBW7 suppresses metastasis of colorectal cancer by inhibiting HIF1α/CEACAM5 functional axis. 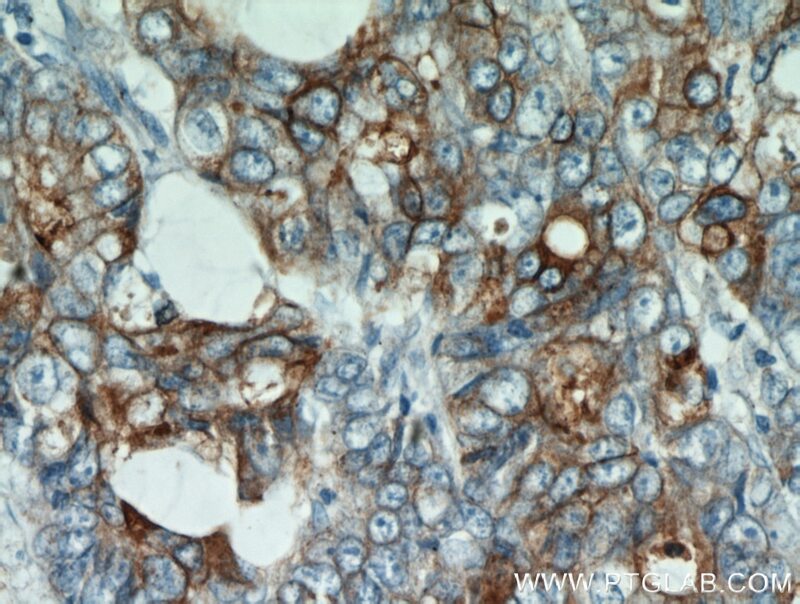 Lentivirus-mediated RASSF1A expression suppresses aggressive phenotypes of gastric cancer cells in vitro and in vivo. 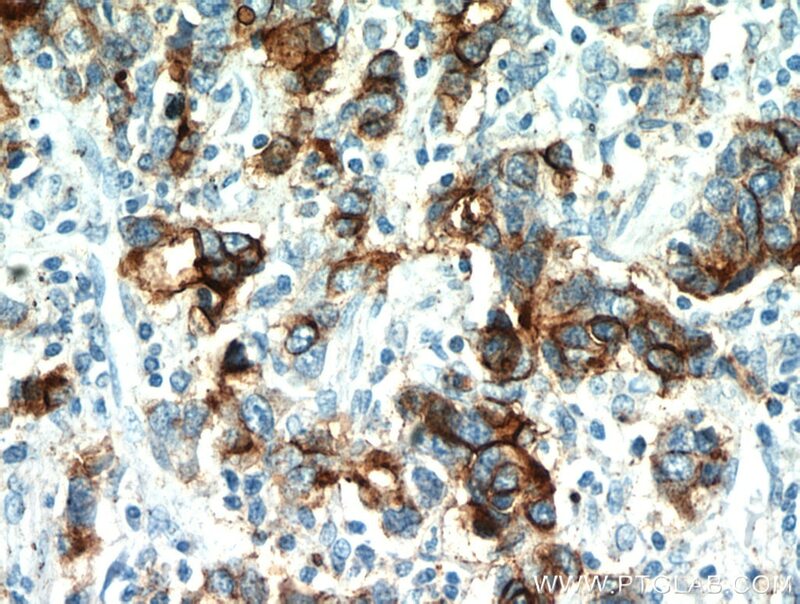 Discovery of Aquaporin-1 and Aquaporin-4 Expression in an Intramedullary Spinal Cord Ependymal Cyst: Case Report. 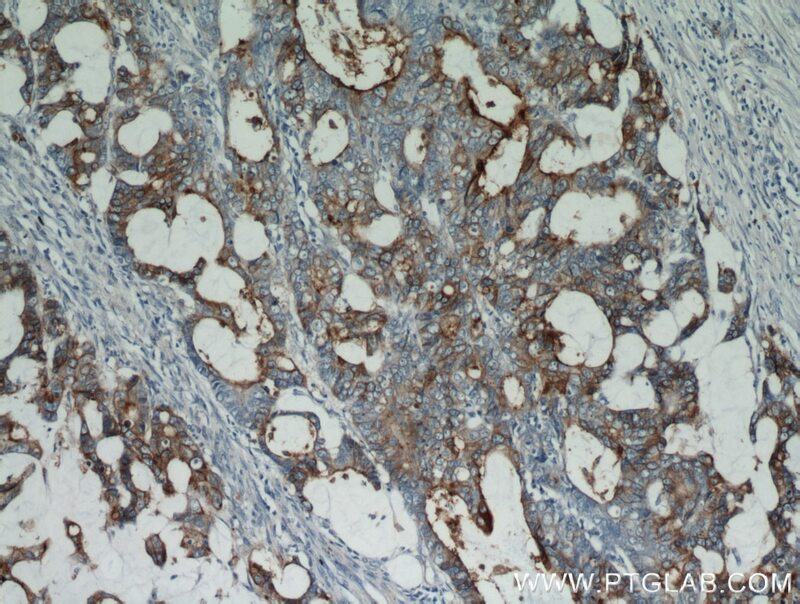 Immunohistochemical analysis of paraffin-embedded human lung cancer tissue slide using 10421-1-AP( CEA antibody at dilution of 1:200 (under 10x lens). 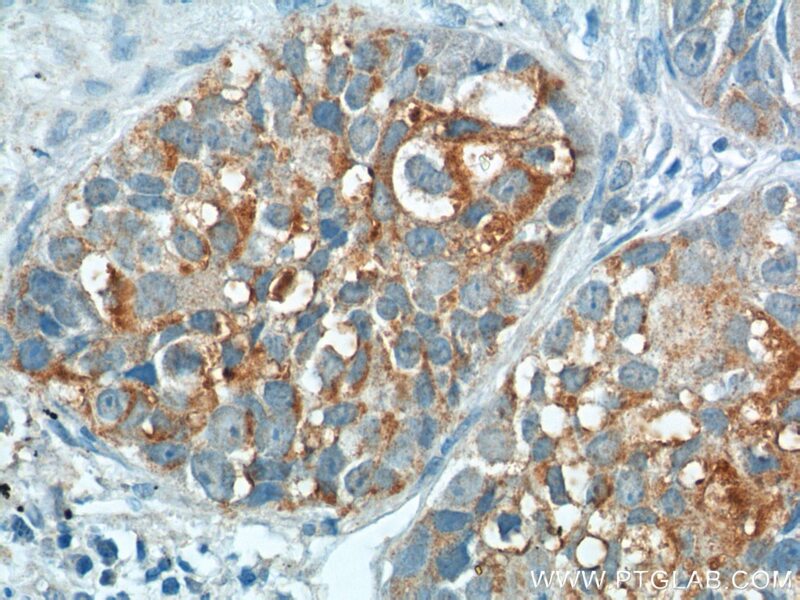 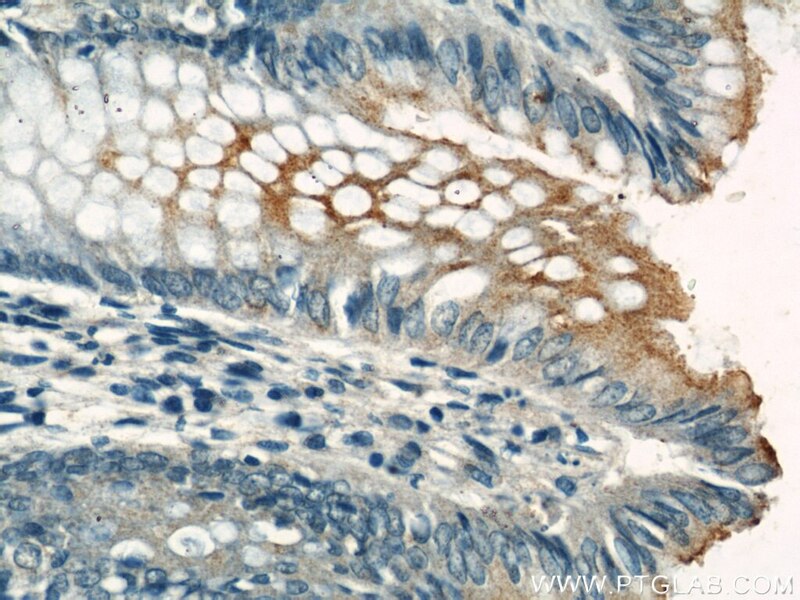 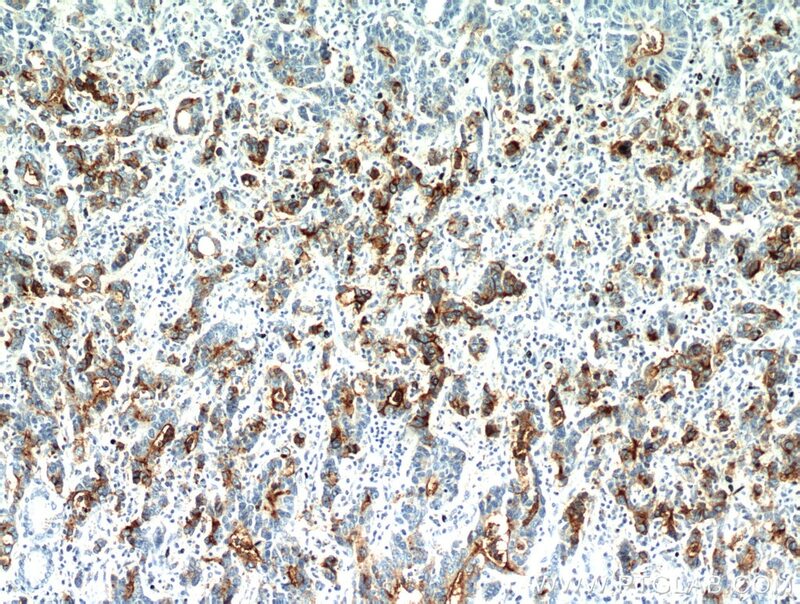 Immunohistochemical analysis of paraffin-embedded human lung cancer tissue slide using 10421-1-AP( CEA antibody at dilution of 1:200 (under 40x lens).